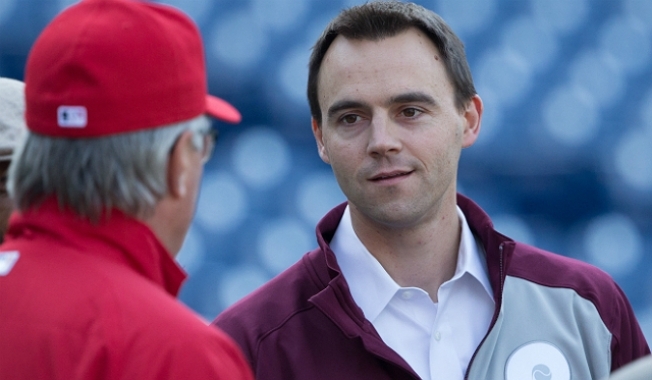 The Phillies continued to retool the front office Friday with two hirings. Former major league outfielder Sam Fuld will join the team as major league player information coordinator, while Ben Werthan will serve in the same role in the minors. Fuld, 35, played parts of eight seasons with four different teams, last appearing in the majors with the Oakland A's in 2015. In 599 career games, Fuld posted a .227 career batting average with a .307 on-base percentage. Werthan, 31, served as the Orioles' advance scouting coordinator for the past six years, leading the team's advance scouting process. He previously held internships with the Tampa Bay Rays and Cincinnati Reds. Both new hires will "help integrate the use of information in all areas of on-field performance and make recommendations regarding the most effective areas of future research analysis," the Phillies announced in a press release. The moves continue the Phillies' trend towards analytics, something that general manager Matt Klentak has expanded upon since his arrival in 2015. New manager Gabe Kapler is also deeply rooted in analytics as the Phillies move to a new-school thought process. "He has a unique ability to connect with people and I think that bodes very well for our young roster," Klentak said of Kapler during his introductory press conference Thursday. He's a progressive thinker. Look at the teams (Indians, Cubs, Dodgers, Astros) that competed in the last two World Series. These are among the most progressive organizations in baseball. That's where the Phillies need to head and Gabe Kapler is going to be a huge asset to us as we try to progress to the future."